Born summer of 1961and raised in New York City. 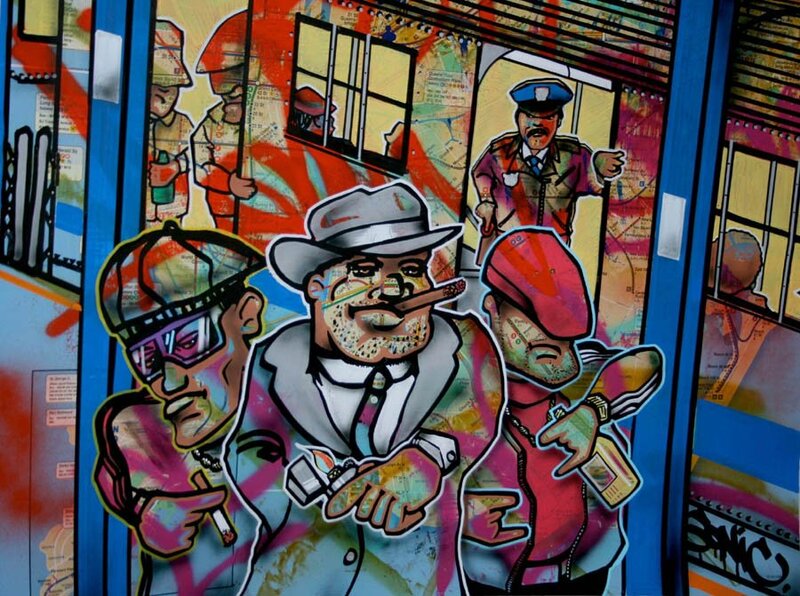 In the early 1970’s, during the time of Hip-Hop’s beginnings, when graffiti was relegated to tags and bubble letters, Sonic brought unique artistic elements to graffiti. 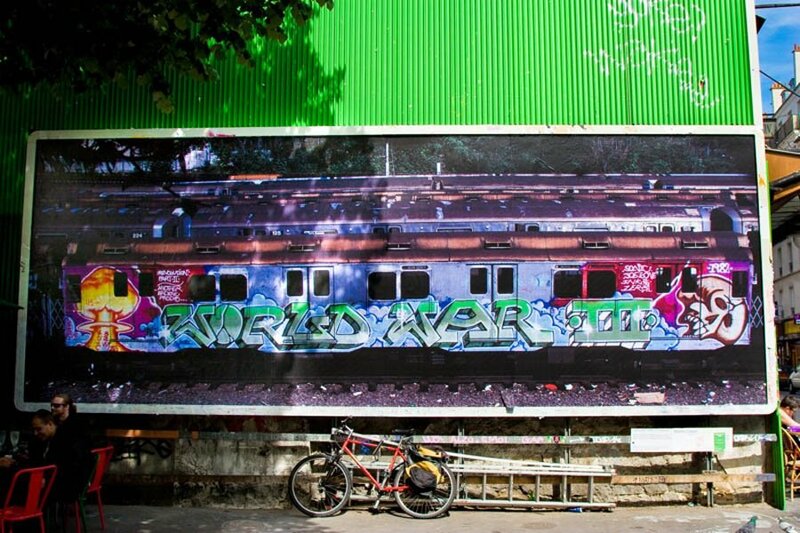 Pioneering graffiti styles still used today. 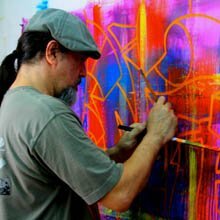 Sonic is regarded for his bold colors and creating many different graffiti lettering styles, such as: folding / ribbing letters, and his aptitude for transforming letters into characters and figures. 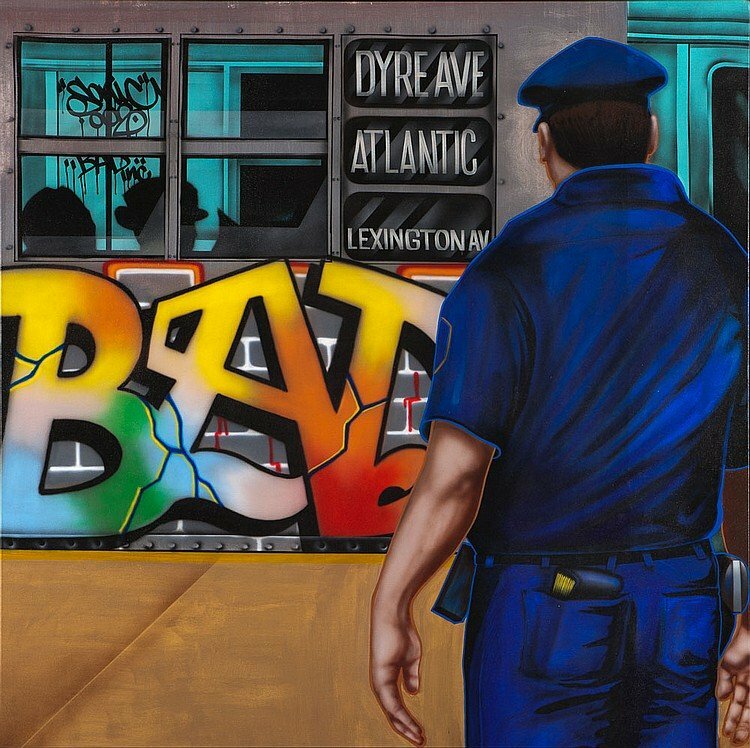 In the early 1980’s he painted the infamous “Revolution” and “World War III” top to bottom on NYC subway cars. 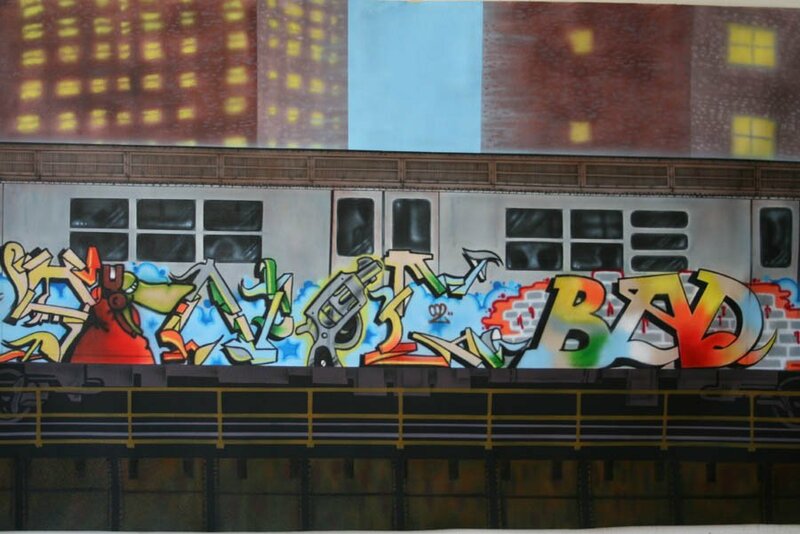 Sonic painted trains with graffiti artists such as Rammellzee, Dondi, IZ the Wiz and Ink76, just to name a few. Sonic went on to be one of the most prolific muralists of his time. 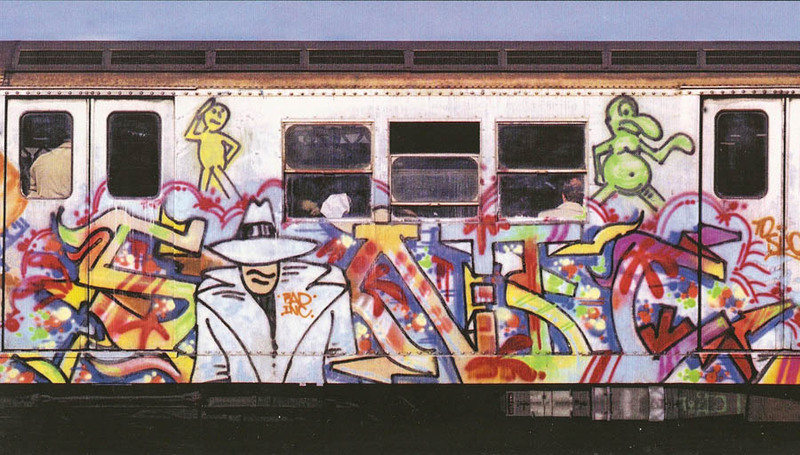 His graffiti has been photographed by Martha Cooper and Henry Chalfant and showcased in many books, magazines, movies such as “Wild Style”, “Style wars”, “Beat Street”, “Subway Art” and “Hip Hop Files” just to name a few, also video games, fashion, galleries, and walls throughout the last four decades and has made an indelible mark on the Hip Hop Culture. 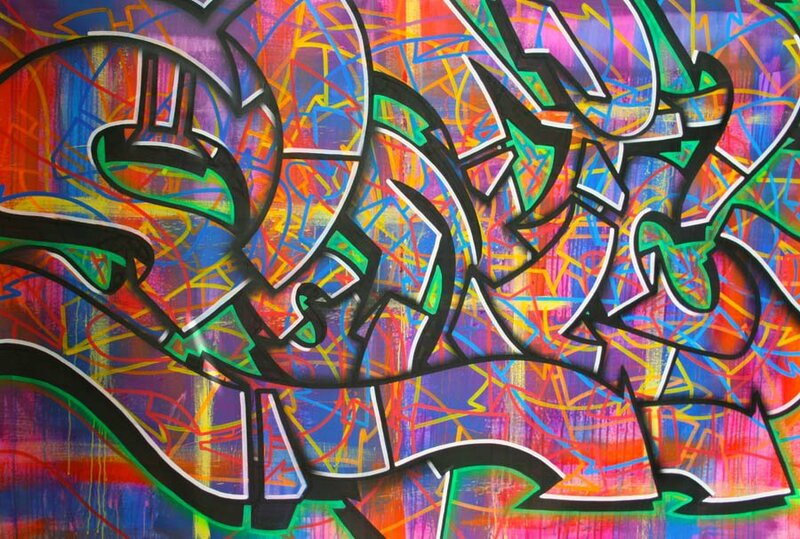 Sonic travel internationally bringing his graffiti culture, full of bold colors and original hip hop style, to countries such as Germany, Amsterdam, Jakarta, Hong Kong, Singapore, Belgium and throughout France, while still exhibiting in New York. Sonic has lived in The Bronx for the past 15 years, and has a studio in Port Morris.